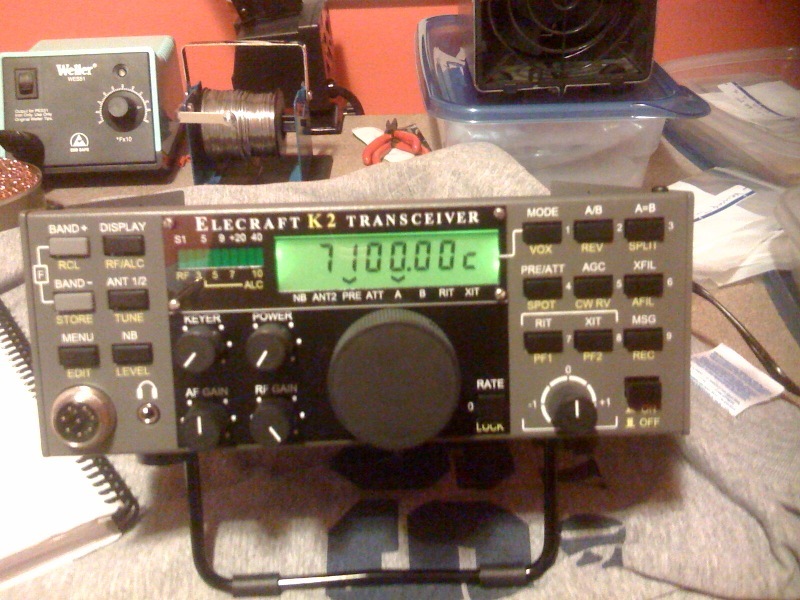 The K2 is my second Elecraft kit the first being the KX1. After sorting all the parts and having it all check out, I was amazed at all the components!!! I just had no idea how long this project was going to take. A couple of things I did before the kit arrived was I purchased a first-rate soldering station. The Weller WES51, and a product from Panavise that can hold up to a 12 inch board. I already had an excellent multi meter. 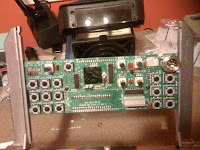 Back to the build, the control board and front panel went together very well without any troubles. 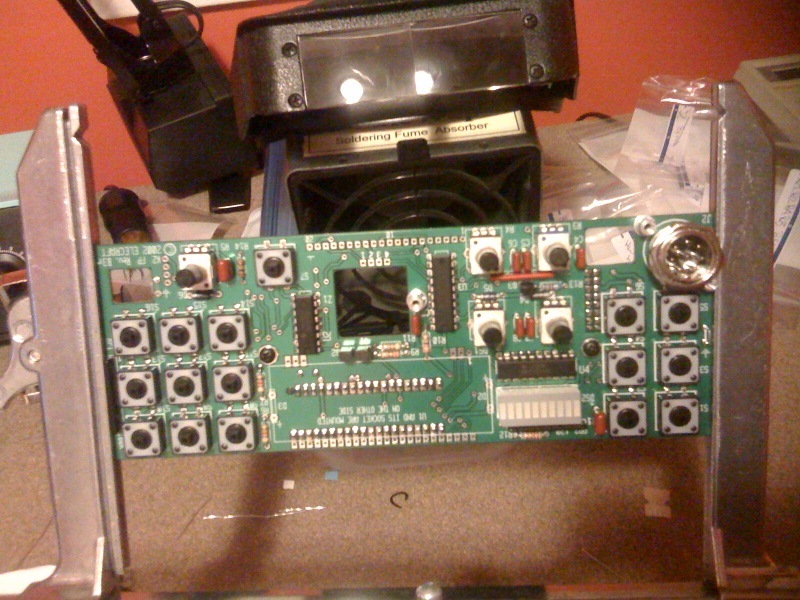 I did take my time with the push buttons and encoder. I felt it was easier to take my time and not have to remove a part after it was soldered in place. (which by the way did happen throughout the build) I did double check all the parts before installing them. I also took heed to the advice on the Elecraft reflector, if you are tired stop and continue the build later or the next day. 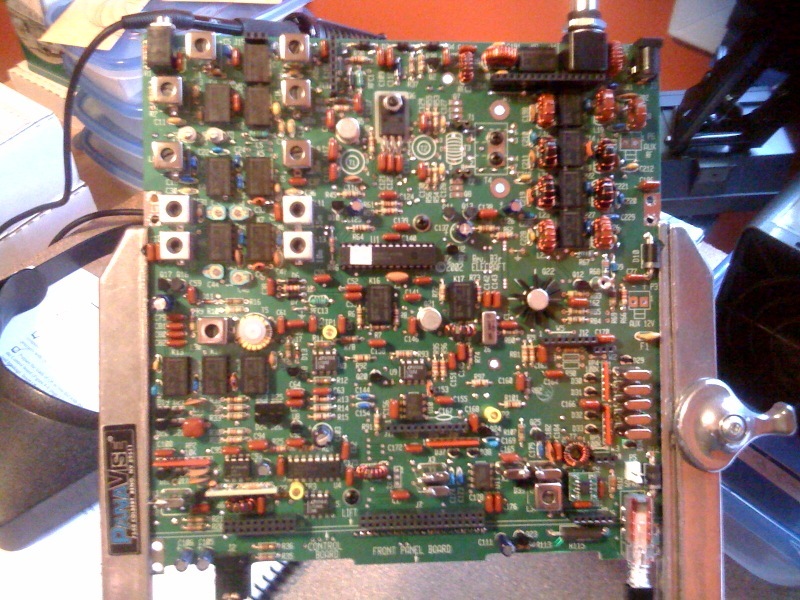 It was now time to tackle the RF board, the previous building of the KX1 gave me some practice for winding toroid's but the K2 has many more and some a little thorny . 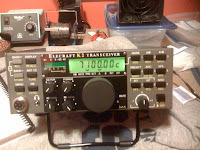 I wanted to give it a go and if all else failed I could always order the toroid's from the Elecraft site. 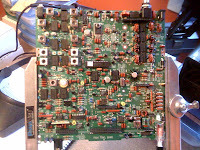 Well the RF board had its moments but I took my time. Not all the check outs worked out as planned but an email to the Elecraft reflector granted me loads of help and I was soon on my way again. It sure is exciting to get to the check outs in the manual and see the rig work and slowly get toward a full functioning radio. As far as the toroid's went I did have to rewind some and the ones with two different windings were tricky but again just took time. Well in less time than I thought the build was all done and ready for the final alignment. I was working many hours of overtime at work so I could not spend the time to do a proper alignment. There is a ham in Toronto who does an excellent job at the final alignment. I sent it too him and it was done in no time. I have been on the air working with a 20 meter dipole in the attic and doing just great with contacts all over the world.